Dallas Noble, the NCO 2017 Young Musician Competition Winner, began playing the violin at the age of three. Now 16, she studies with Lee Snyder and Guillaume Combet. 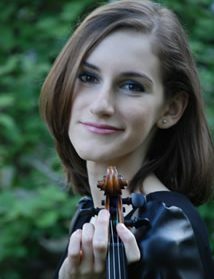 A frequent performer in the Princeton and Philadelphia areas, Dallas serves as concertmaster of the Greater Princeton Youth Orchestra, plays in a sonata duo at Westminster Conservatory, and is a member of the Myer Schwartz Piano Trio at Settlement Music School, where she holds an Advanced Study Scholarship. 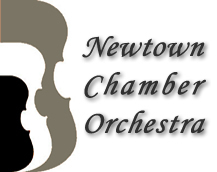 Dallas has been a prize winner or finalist at numerous competitions, including the Music Teachers National Association, Monmouth Symphony, Summit Symphony, Bravura Philharmonic, and Sinfonietta Nova competitions. In 2014 Dallas was honored to perform a duet with Juliette Kang, the First Associate Concertmaster of the Philadelphia Orchestra. In 2014 and 2016, Dallas was one of twelve violinists nationwide selected to attend the prestigious Brian Lewis Young Artist Program. In addition to violin, Dallas enjoys creative writing, diving and archery. For tonight’s concert, Dallas is performing with a bow made by James Dodd of London, circa 1825, generously on loan from Wamsley Violins.